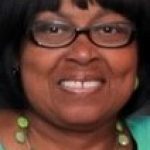 Dana Lynette Collins 57, went to eternal rest on Thursday, April 4, 2019. Funeral Services will be 2:00 P.M. Friday, April 12, 2019 at G.C. Williams Funeral Home Inc.
Visitation with the family will be from 12-2 PM Friday at the funeral home.